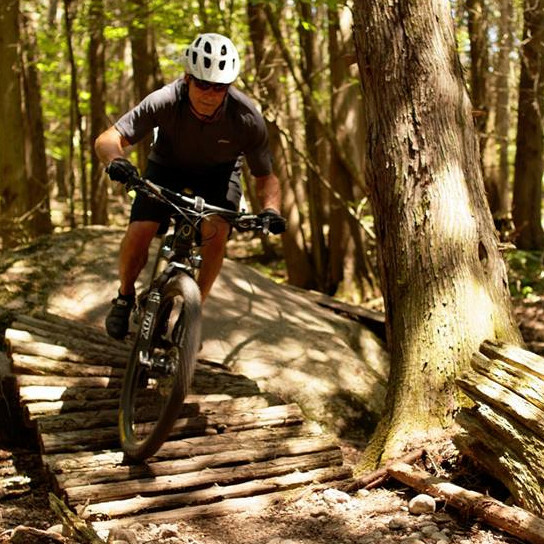 Sponsored by Ben and Ashley Logan of Fontaine Source for Sports, the Dirty Enduro carries on a 20-year tradition of mountain biking in support of CMHA HKPR, at a new location, Harold Town Conservation Area, just east of Peterborough, Ontario. The event takes place August 18, 2018 and will include a challenging 12km and 24km loop as well as a special children's event. Focused on family participation and fun, Ben and Ashley see the new Dirty Enduro as a time for folks who are new to mountain biking to join other, more experienced riders for a fun day on the trails, all in support of mental health. The 12km and 24km ride (for those 13 years and older) will be timed.